Horseshoe Canyon Ranch - This city girl is going WESTERN for a few days! You are here: Home / Travel / Horseshoe Canyon Ranch – This city girl is going WESTERN for a few days! Horseshoe Canyon Ranch – This city girl is going WESTERN for a few days! This trip is sponsored by the kind folks of Horseshoe Canyon Ranch in Jasper, Arkansas as a media trip for me to share my experiences with all of you! Yeehaw! Okay, for those who don’t know me…I don’t really talk like that! I have had a secret for quite sometime about my future travels and it is now time to spill the beans. 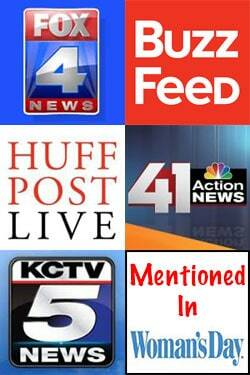 Tomorrow I am headed to Horseshoe Canyon Ranch in Arkansas with 4 other Kansas City bloggers! So this city girl gets to explore the country and adventure. There is nothing more exciting than when opportunities come my way for this little blog that I started 4 years ago. I love to share my experiences and adventures and have them read by all of you. Plus, the travel experiences that I have had would not have been taken if it weren’t for this hobby-gone-website. Be sure you are ready to hear about my dude ranch experiences for the next few days. 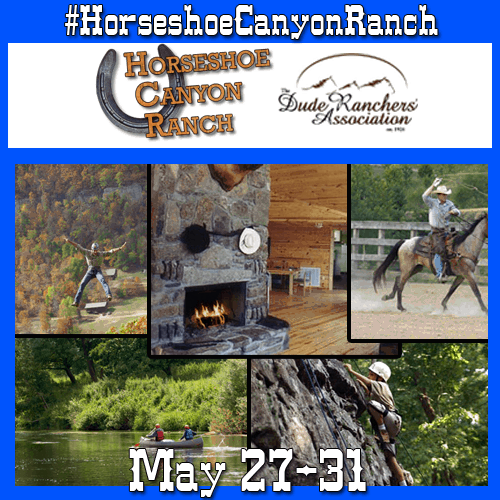 Horseshoe Canyon Ranch is a dude ranch, which gives guests a true western experience. During this trip, I am going to have to leave my 5 year old at home, but boy is she going to be jealous. There are lots of activities that I get to explore including horseback riding, rock climbing, swimming, canoeing and one of the best zip lines in the country. So I am slightly afraid of horses and heights. I have never been on a horse, nor have I done a real zip line before. So the adventures will definitely be fun and challenging for me. This is a real dude ranch and not just a theme park attraction. Some of the reviews are about the delicious food you will enjoy while at the dude ranch. I read that they treat their guests like family. I will get to stay in a log cabin with all of the other bloggers. 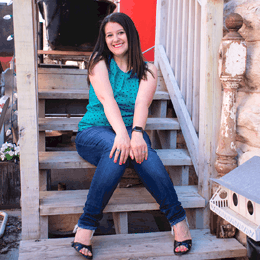 I am very excited to talk about our blogs and relate to all things social media and parenting and travel! While I get to stay in the cabin they have a gathering Lodge where we can find a fireplace, ping-pong, foosball, a theater with hot popcorn, and more! Just imagine the fun we are going to have! All I ask for all of you, is that you follow along on twitter, facebook, and my blog as I am using the hashtag #HorseshoeCanyonRanch! Horseshoe Canyon Ranch is part of the Dude Rancher’s Association. That looks like a whole lot of fun. It’s a shame you had to leave the five year old. I’ll be he would have loved it. I bet this is going to be a blast! I love ranches and this one looks like it will be an amazing adventure! Excited to go with you on this adventure and get to know you! As cool as that looks, I’m afraid of horses. Too big. I loved horseback riding as a child, but haven’t done it in years. I’m sure you’re going to have a blast!